When it comes to outdoor bar stools, there is simply nothing better than Tropitone. The Montreux Greco Sling Collection was named after the home of the outdoor jazz festival in Southern France . 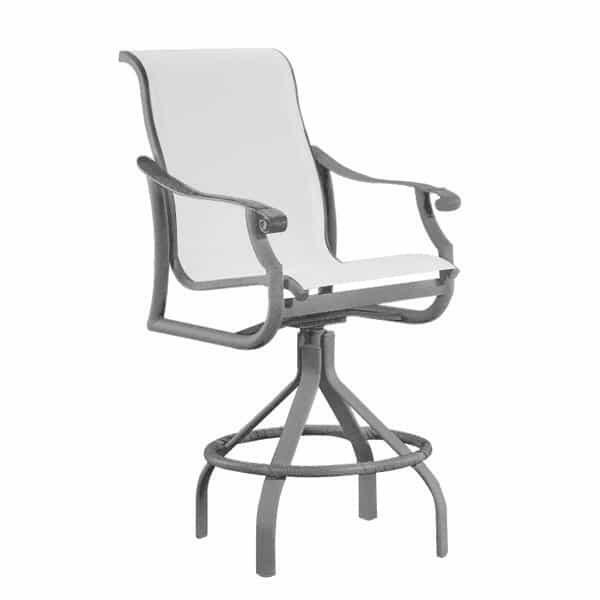 Designed by Peter Homestead, this aluminum patio furniture is a perfect interplay of sturdy construction and jazzy cast aluminum detail. All Tropitone patio furniture is made to commercial specifications with a designer residential look. Seat Height 28.5" / 30" / 25"